Video & Photo Gallery: Leagoo M5 Plus smartphone First Impressions & Quick Review. Leagoo M5 Plus – Fingerprints for all. You see, the first impression is the last impression and Leagoo knows how to deliver it. Take Leagoo M5 Plus as an example. It’s the most good looking smartphone you can get under $80. We never thought we would see a nano molding technology chassis, make of exclusive metal for a low-tier under that price tag. The brushed rear (IML) is something which further exaggerates its charisma. The touch-based buttons seem to be a bit trendy (a circle for the home screen and dots for back and menu). On the rear, the fingerprint reader dwells along Dual Flash and the camera at the top center. Where have we seen this arrange? Maybe in Huawei Mate 9 leaks. The toughness never reaches to an end with the Gorilla Glass 4 technology along 2.5D arc design. In short, it’s more than what we expect from a low-end smartphone. 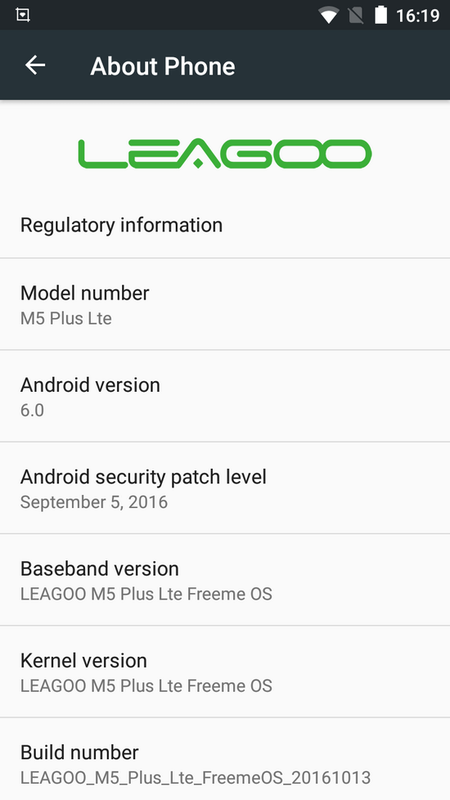 Regarding Leagoo M5 Plus the game changes. It’s sometimes hard to deliberate, how LEAGOO managed that much processes to make M5 Plus exquisite under $80. The only weak point of the flagship is its hardware. A Quad-Core MediaTek MT6737 (@1.3Ghz) beats under the hood of Leagoo M5 Plus. The processor is accompanied by 2 GB memory and ARM Mali-T720 MP2 (@550MHz) as the GPU. Now RAM and GPU are fine for a low-end, but it’s too rare to see MTK’s Quad-cores processor this year as they are old and lame now. They are energy efficient. With that type of hardware, M5 Plus only yields a score of 27,233 points on AnTuTu V6. Meanwhile, the phone also offers a storage of 16GB along with the option of expanding it via MicroSD slot. This seems to be a plus along the introduction of a fingerprint sensor on the back. The Leagoo M5 Plus integrates a large Super IPS 5.5-inch screen with an HD display (1280×720 pixels). Even though it’s not Full-HD but with the contrast ratio 900:1, the details and the colors are sharp on the screen. The selling point of the terminal is its 13 MP rear camera. Leagoo has kept the sensor as a secret, but from the images shown below, it appears to be Sony and somehow interpolated. The pictures captured are marvelous with great color contrast and maintaining the natural look. Meanwhile, the typical 5MP shooter on the front is not bad. 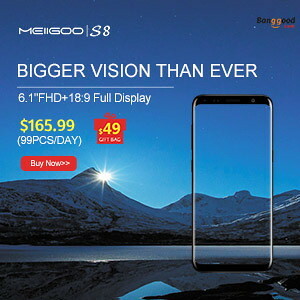 A few $80 contenders are on the list which features 4G+ connectivity, and Leagoo M5 Plus is one of them and perhaps the best with strong reception, Dedicated Hifi Speakers by a large bass. Plus, the Dual SIM feature is ready on the terminal with dual-standby. Even the Bluetooth v4.0 is optimized to LE (Low power consumption). One of the pros of M5 Plus is that it runs on Android 6.0 based on FreeME OS 6.0 which is much one of the stable, easiest and relishing custom OS on the planet. As far as the battery is concerned, it’s removable and replaceable. The 2500 mAh capacity seems to be limited to you, but with the energy efficient processor, those amperes are more than enough. As the SoC is outdated, we won’t experience any fast charging. Here you can read about the unboxing of Leagoo M5 Plus Shock-Proof Smartphone. 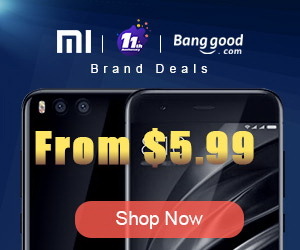 You can now buy Leagoo M5 Plus Shock-proof smartphone from Aliexpress.com for only 79.99 USD with free shipping world wide. Available features: Dual SIM, Radio FM, WiFi, WiFi Hotspot, Bluetooth 4.0, A-GPS, GPS, Microphone, Front & Back Camera, USB Host, OTA Sync, PowerSaver, Scheduled Power On & Off, Printing, Dual Tag app, Leagoo App Store, ThemeClub app, Change theme app, Security Center, Smart Settings, Turbo Download, MiraVision, Kika Store, Supershot, RecordSreen, Fingerprint sensor. Sensors available on device: 8 sensors on boad: Battery, GPS, WiFi, Accelerometer, Proximity, Gesture, Fingerprint & Light. Cameras. Main camera: 13 MP with Flash LED, f/ 2.2 Aperture & Nature Color Technology, the picture taken obtains high brightness, high definition and real colors. Selfie camera: 5 MP. Display. Diagonal: 5.5". Type: LCD IPS. Resolution: 720 x 1280. Density: Medium, 294 Pixels per inch. Others: 2.5D curved glass screen, Capacitive, Corning Gorilla Glass 4, Multi-touch. The 5.5'' HD IPS large display with 1280 x 720 screen resolution shows deeper black and richer colors without over saturation. The 900:1 contrast ratio brings sharp image and vivid colors, which benefits who like to watch sport or movies. Corning Gorilla Glass 4 is well known as its ultra steadiness, durability and high transparency. It is aplied witg 2.5D arc edge, which not only enables M5 Plus incredible duration but also presents a unique look and silky smooth touch feeling. Internal storage. Capacity: 16 GB. Total space: 10.61 GB. Available: 9.11 GB (85%). SD slot up to 128 GB. Tested with Mixza Tohaoll 128GB SDXC Micro SD Memory Card. Sound. Home Theater Audio Experience. Ultra-Powerful Bass Sound System with HiFi Experience with custom designed Awinic K7 Hi-Fi chip and bass speakers, offering a powerful dynamic sound performance. 0.19s Ultra Fast Fingerprint. Leagoo M5 Plus can be unlocked quicly and accurately. The Multi Functional fingerprint not only works to unlock the device, but also can be used on Pictuer Capture, Home Scroll, Fingerprint Dial, Video Control and Music Control. Cost-effective. 9.1 from 10 - pretty amazing. In Antutu Benchmark 6.2.1 Leagoo M5 Plus smartphone achieves a good score, almost 29.000 points. In Antutu Video Tester 3.0 Leagoo M5 Plus smartphone scores 524 points, a fair score in this test ranking. It played smoothly almost all video file types; this firmware version fully supports 11 video & audio format files, it partially supports 7 video & audio format files and doesn't manage to play 12 file. Wifi Internet speed tested gets also pretty good values: almost 27 Mbps in download and the upload speed was also almost 24 Mbps. The router used in this test is Xiaomi Mi WiFi Router, mounted in another room. 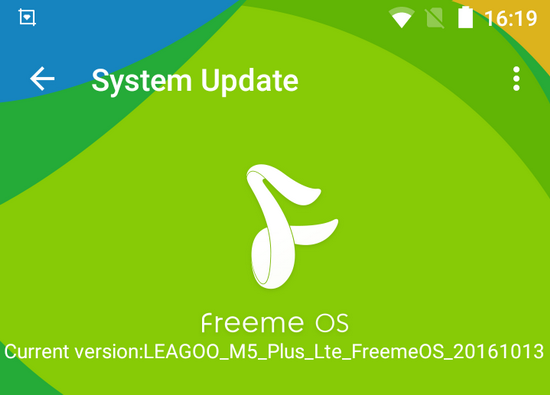 The Freeme OS on the Leagoo M5 Plus smartphone is very smooth and a very well customized operating system. Transitions, animations, apps switching and general OS fluidity is just great, I really like it a lot. During our tests, we experienced zero force closes, hangups or stability issues. Google Play and gapps are working without issue. Google Play Services updated no problem. 3rd party apps downloaded and updated without issues. The Leagoo M5 Plus is a very beautiful smartphone, with an amazing affordable price and very good value for the money.